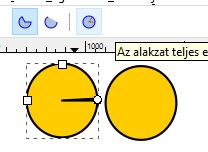 How to send an image to the back in inkscape? I want to know how to send an image back in inkscape. Also, I tried to make something but there was this problem with the eclipse tool. Re: How to send an image to the back in inkscape? As for your first questions, do you mean changing the order of objects? Shortcuts: Page Up, Page Down, Home, End. As for the ellipse problem, I think you didn't make a full shape. Just press the full circle button and it will make your ellipse neat. ps. did you draw your avatar? It looks awesome! 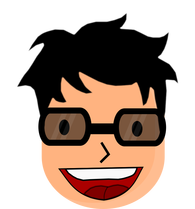 And yes, I did draw my avatar. Woow, it looks super adorable! @Malcolm, solved, you can lock it. Wait. By sending an object back, I meant sending an object below or underneath. @zyph wrote: Wait. By sending an object back, I meant sending an object below or underneath. The Object >> Raise - Lower - Lower to Bottom - Raise to top do that?